Today, 15 June 2011, is “Saga Dawa Düchen”, the full moon day on which the birth, enlightenment and passing into Parinirvana of the Buddha is celebrated in Tibetan Buddhism. “Saga Dawa” is the entire fourth lunar month of the Tibetan calendar, which usually begins in May and ends in June. 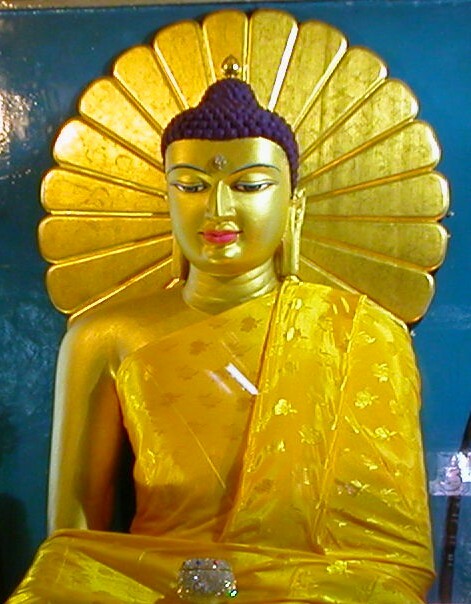 The seventh day of Saga Dawa is the date of the historical Buddha’s birth. However, the Buddha’s birth, enlightenment and entry into Parinirvana at his death are observed together on the 15th day of Saga Dawa, called Saga Dawa Düchen. This is the single most important holiday in the Tibetan Buddhist tradition. Saga means “million”; Dawa means “moon”, so the “million multiplier”’ month is what it denotes. For all our activities, positive or negative, in each and every day of this auspicious month will be multiplied a million times. “Düchen” means “great occasion”, and it is said that on this day the effects of actions – positive or negative – are multiplied 10 million times. We encourage those of you who support the development of Buddhism in the UK to especially make wishes at this time for the success of the New London Buddhist Centre project! This entry was posted on Wednesday, June 15th, 2011 at 1:06 am and is filed under Diamond Way Buddhism. You can follow any responses to this entry through the RSS 2.0 feed. You can leave a response, or trackback from your own site.